Music from Paper+Sound now available at ping things! ping things is very pleased to announce a new partnership with our good friend Heiki Sillaste to distribute releases from the Paper+Sound catalog beginning in December 2012. Heiki from Paper+Sound and Rik from ping things have traveled in the same musical circles for some time now, but have never had the opportunity to collaborate until this year. "It's been a long time coming," says Rik, "but we're very excited to have the chance to add such an amazing collection of work to the ping things catalog!" Releases from Paper+Sound by naw, Chromosphere, dreamSTATE and Heiki, will be available through the ping things website beginning in December 2012, visit http://www.pingthings.com/ to find out more. 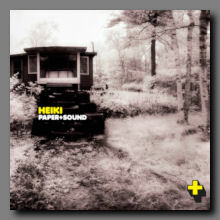 Paper+Sound is a Toronto based electronic music label founded in 2009 by Heiki Sillaste. Releasing music under the broad sub-categories of ambient, techno, house, dub, downtempo and experimental sounds, Paper+Sound is on the forefront of contemporary electronic music. Visit www.paperplusound.com to find out more. ping things is a net label and web-based CD sales boutique founded by Rik MacLean. Since 2006 ping things has offered an eclectic assortment of ambient/abstract/improvisational/darkwave music by artists from around the world. Visit www.pingthings.com to find out more. "Spectral Omissions" is on sale for only $12.00CAN plus $3 shipping anywhere in the world! 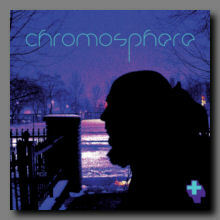 Chromosphere is the solo project of Kris Helstrom, an alumnus of Digital Poodle and Kinder Atom. Chromosphere’s third full-length album, Spectral Omissions mostly discards beats, in favour of highly textured washes of sound. The restrained compositions feature layers of drones sans any rhythm, save perhaps a pulse to assure the listener that the music is indeed alive. "The North Shore" is on sale for only $12.00CAN plus $3 shipping anywhere in the world! dreamSTATE vs Heiki "The North Shore"
Recorded in January 2012 by ambient duo dreamSTATE (Scott M2 & Jamie Todd) with electronic sound-artist Heiki Sillaste “The North Shore” sonically evokes the Canadian winters of their lifetimes - travels through white fields and deep woods, along frozen rivers and by the shorelines of great lakes. The CD package is a numbered limited-edition of 250 copies in digipak with glass mastered audio CD and four signed artcards. "Paper+Sound" is on sale for only $12.00CAN plus $3 shipping anywhere in the world! 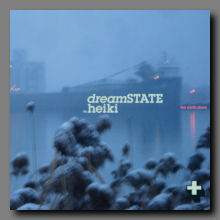 Heiki (Hey-Key) is a veteran of the Toronto electronic music scene. Since 1987, Heiki Sillaste has released an impressive catalogue of well over 45 synthesizer-based records and made over 150 compilation appearances. Heiki’s brand new 12 track album Paper+Sound is his first album as a solo artist.The album is stylistically divided into two halves. The first half of the album features spacey minimal deep techno with an emphasis on sub woofing baselines and melodic atmospheres. The second half of the Paper+Sound album explores slower, dubbed out down tempo rhythms. "Sauna Porch Recordings Co" is on sale for only $12.00CAN plus $3 shipping anywhere in the world! Heiki "Sauna Porch Recordings Co"
Sauna Porch Recordings Co. is the latest release by Toronto electronic music scene veteran Heiki. It’s a collection of new music entirely composed and recorded on the porch of the rustic sauna cabin his father designed and built in Georgian Bay over 35 years ago. 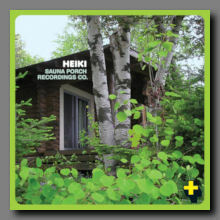 Heiki made these recordings by creating a live, chilled soundtrack first, then sitting back and absorbing the Georgian Bay lake view and natural surroundings for inspiration. Occasionally he would set up a microphone, record, and then process the natural sounds of the surroundings – the wind, the birds, the rustling of leaves in the wind, people swimming, or motorboats and canoes passing by. Most of the initial music was quickly recorded as loops in the morning then slowly built up over the course of a day. Songs were then revisited, treated, layered and re-built over the course of a few weeks (or years, in some cases). Washes of sound were created by processing the field recordings then layering them with synthesizer tones and sequences, creating a fusion of natural and synthesized resonances. "Climate Adaptive Capacity" is on sale for only $12.00CAN plus $3 shipping anywhere in the world! climate adaptive capacity is another foray into the psyche of naw’s abstract interpretations of the world we live in. As in the past naw draws on his continued inspiration of the sound ecology of cities, places and spaces he encounters on a daily basis. 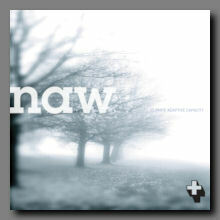 For this album naw explores the recent hot topic of climate change and the associated changes, more importantly the adaptations surrounding these climate changes. Exploring both the planets and human adaptations from simple observations of ground frost changes to more complex lifestyle changes being made in order to continue living on earth to the more morbid thought of an earth that we can no longer inhabit.